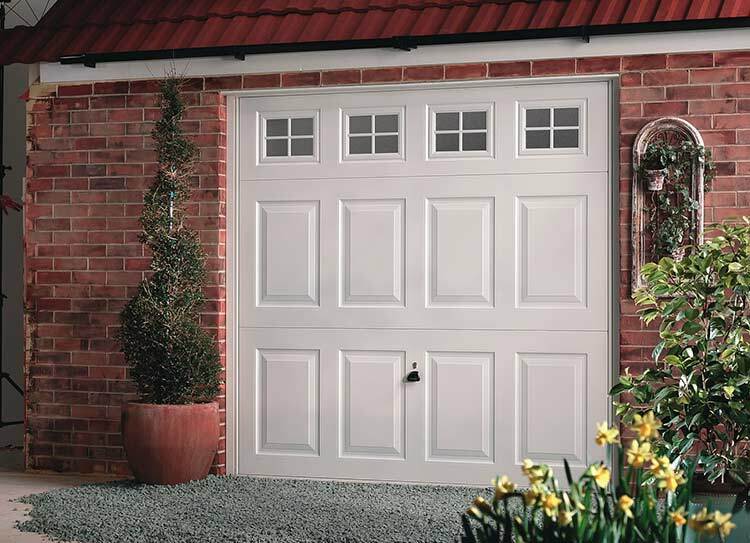 As a key part of your home, your garage door should look good but at Bon Accord Glass we believe it should also offer safety, security and practicality. 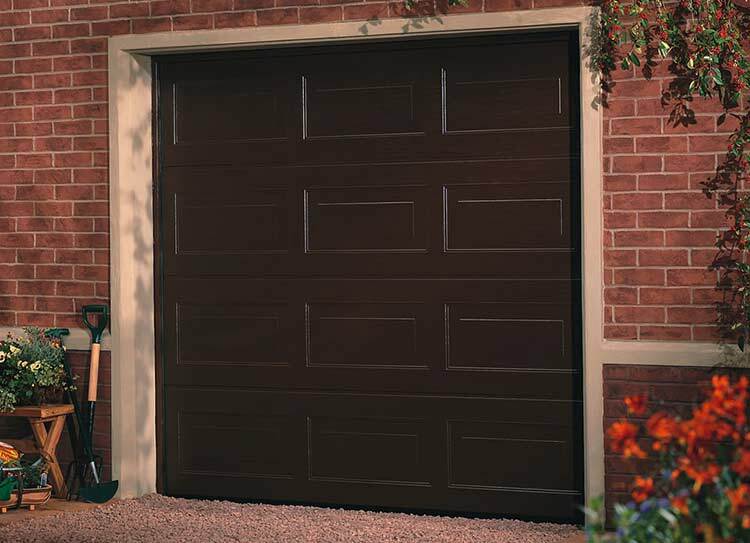 Our collection of Garador manufactured garage doors offers superior engineering and comes in a variety of styles, materials and finishes to complement any home. 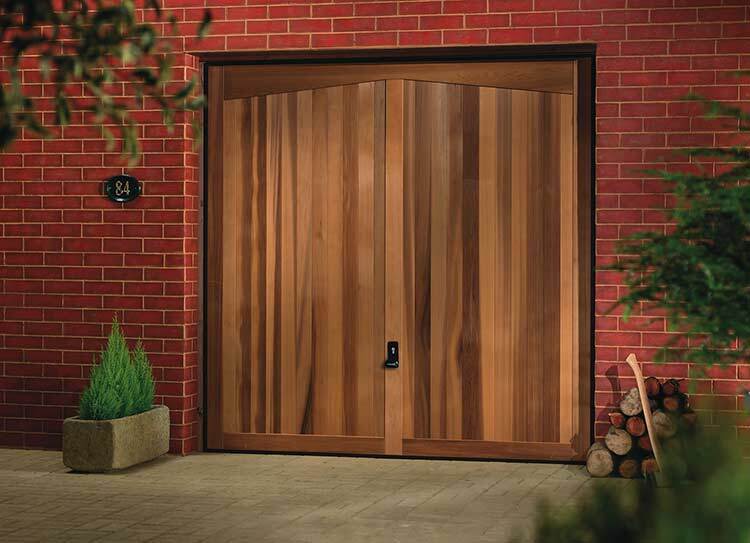 Plus our range of electric door operators can be added to bring you extra luxury and comfort for less than you might think. 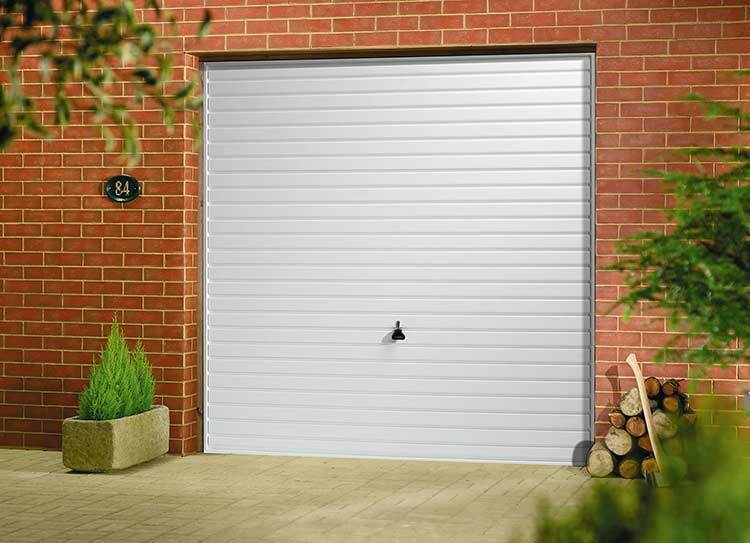 Designed to provide you with maximum safety and security, whilst ensuring years of reliable, hardwearing service. 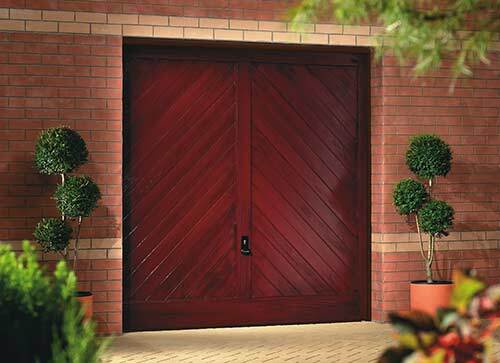 With a range of finish designs, colours and hardware. 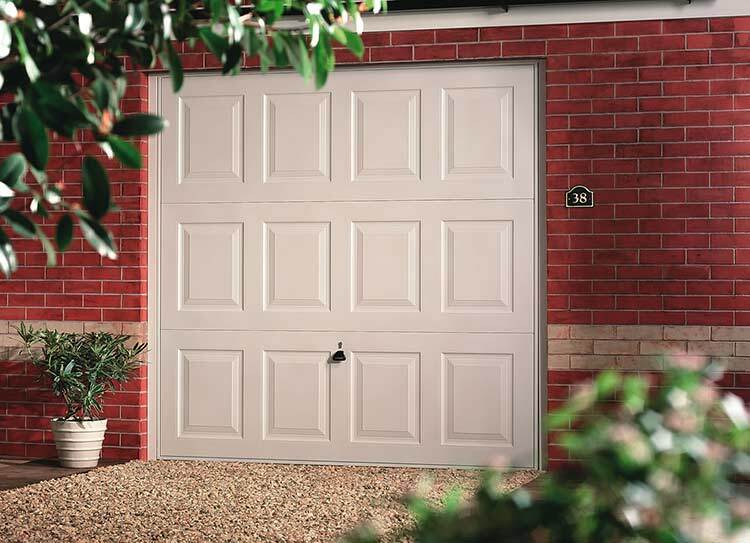 Have a UV-fast low gloss crisp white finish that looks great and offers fantastic impact and dent resistance. 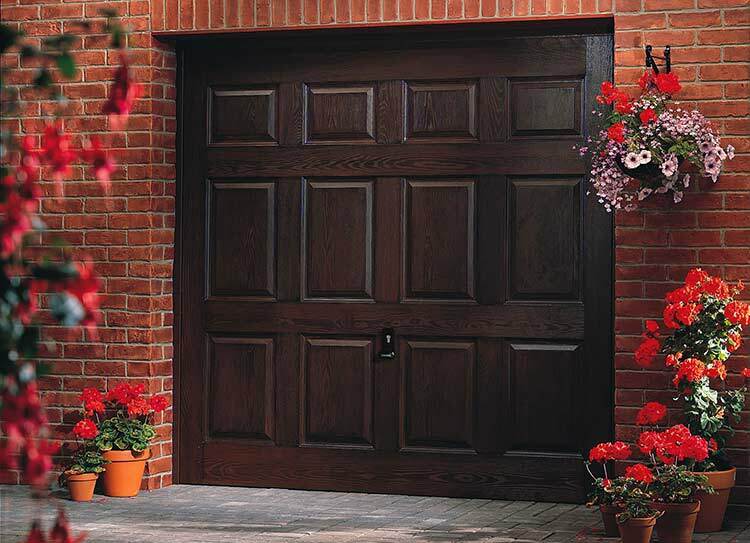 Offer low maintenance and stylish long life. 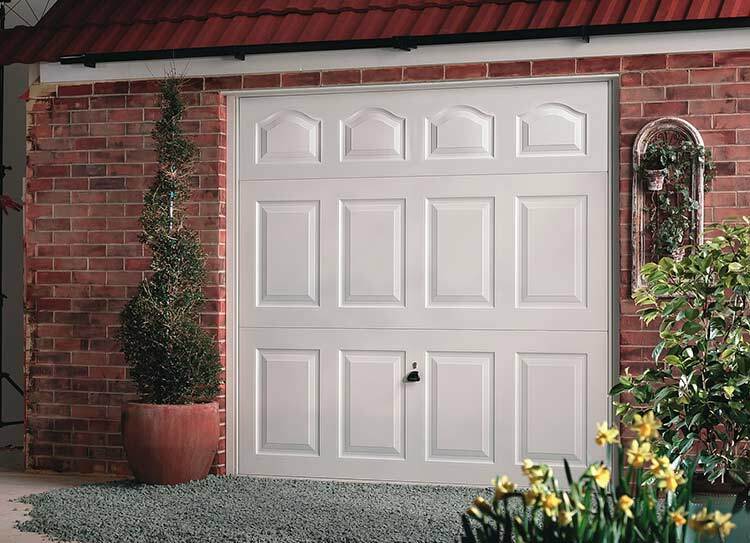 Available in high white gloss that offers a superb ultra-smooth surface finish, or a range of elegant woodgrain finishes for the look of timber and the benefits of GRP. 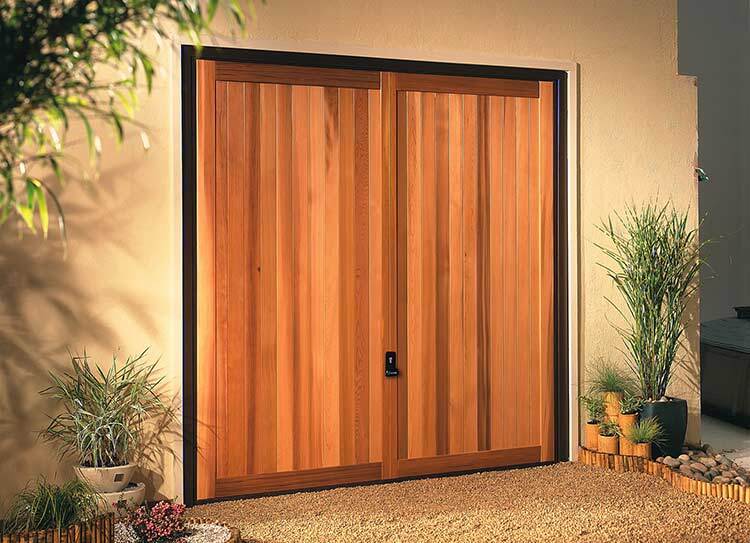 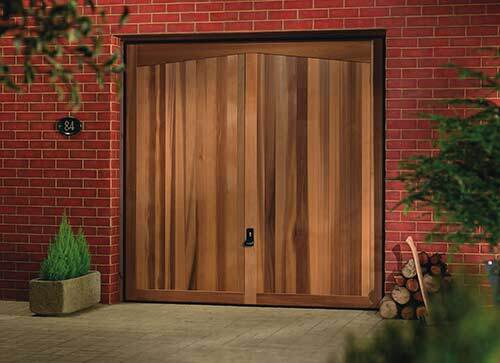 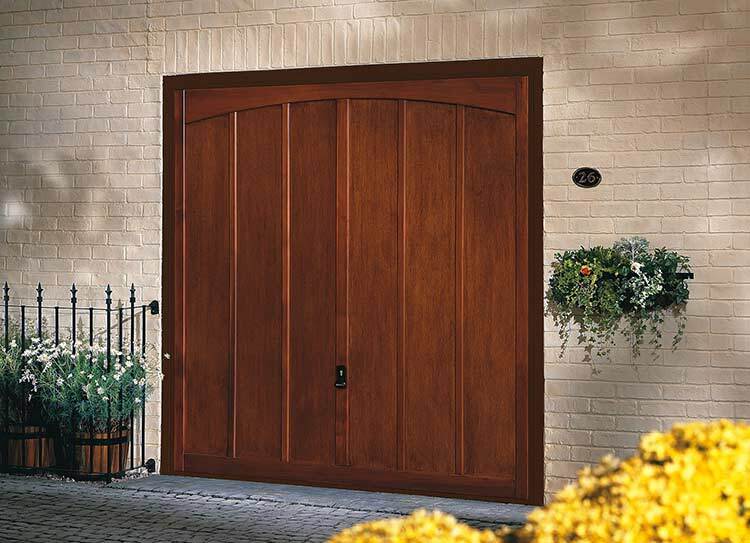 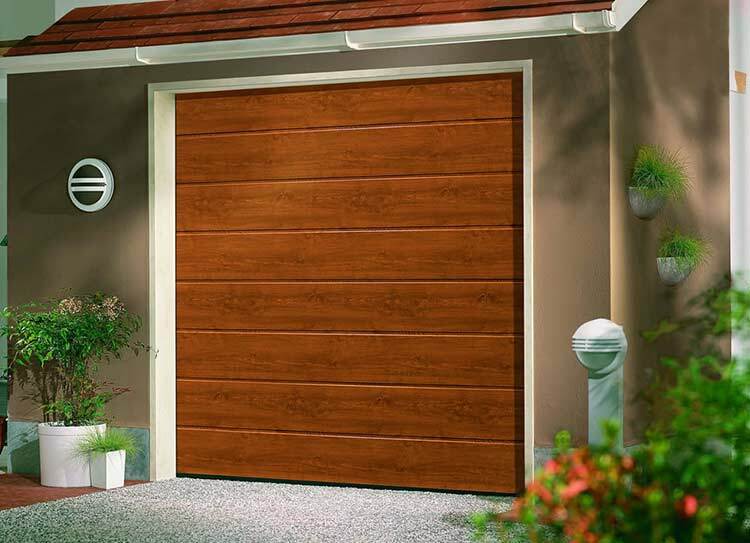 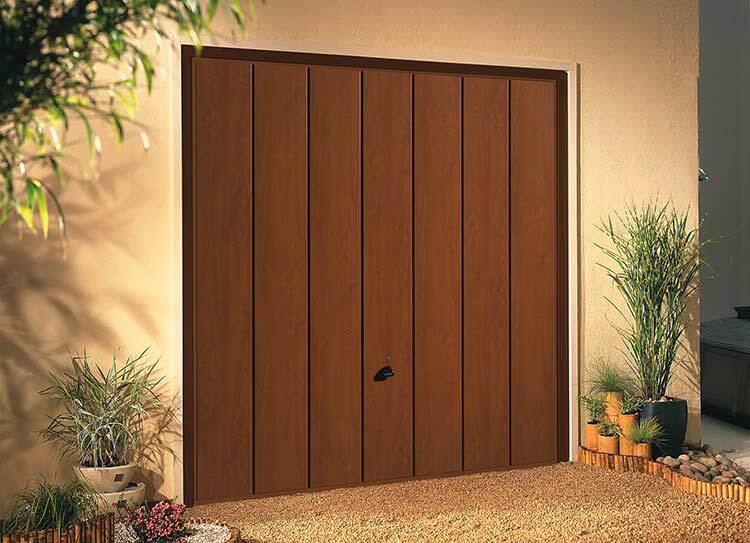 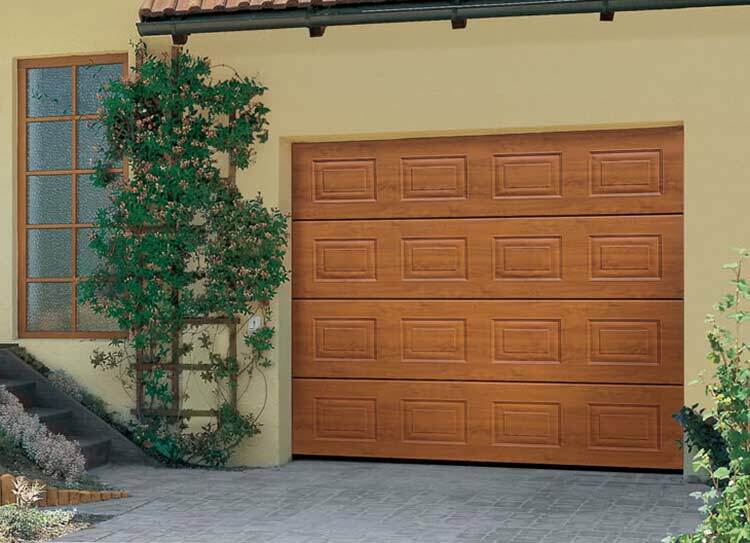 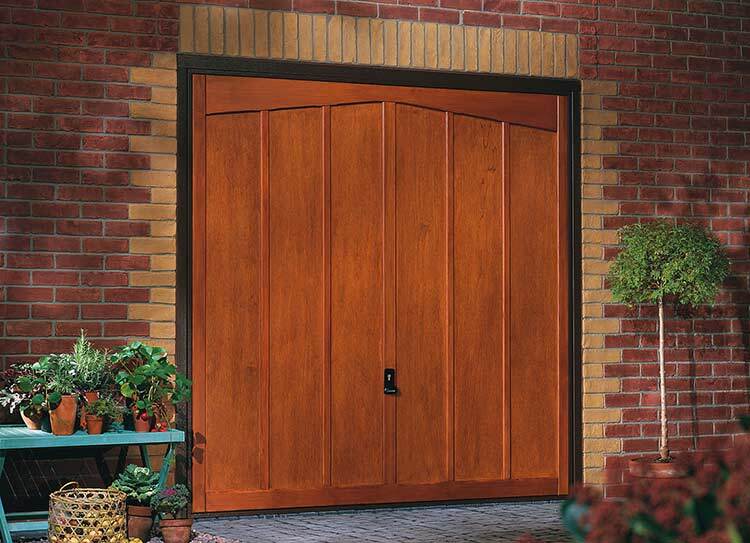 Combine the warmth and beauty of real wood in a range of designs and the best of garage door engineering. 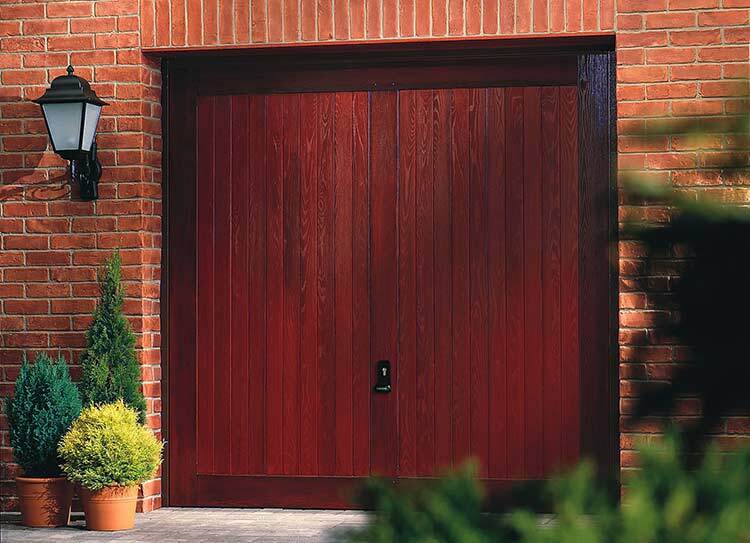 With the right care and attention a timber garage door will keep its stunning appearance and last a lifetime. 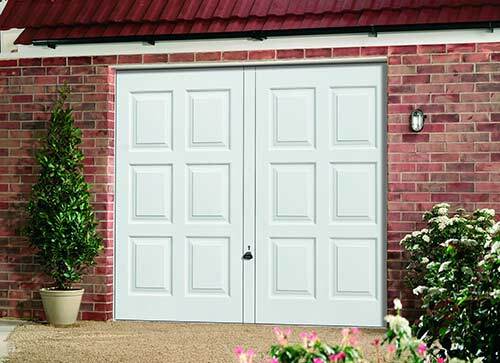 Provide low maintenance, good thermal efficiency, strength and a quiet door travel. Available in range of colours and timber-effect finishes. 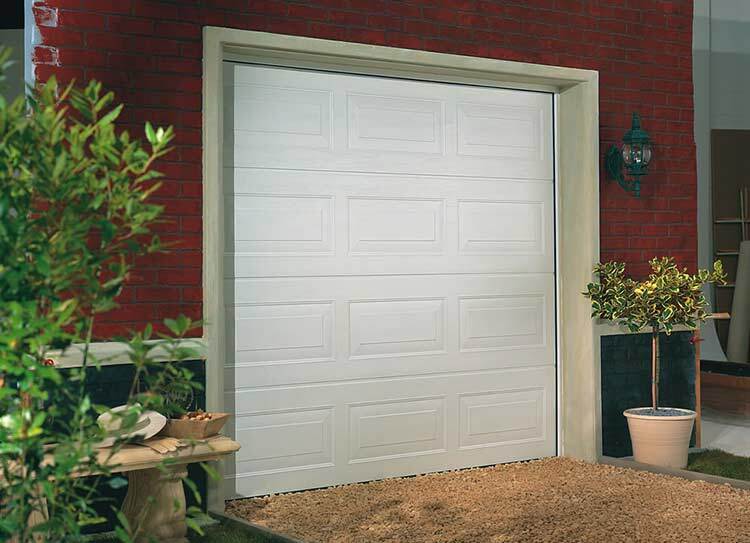 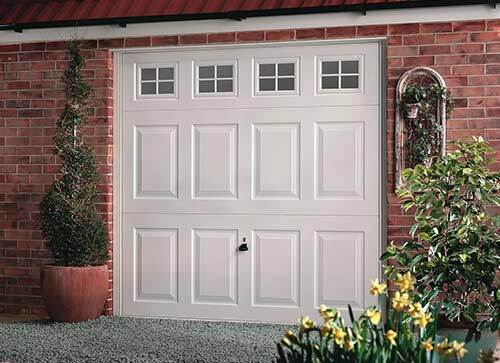 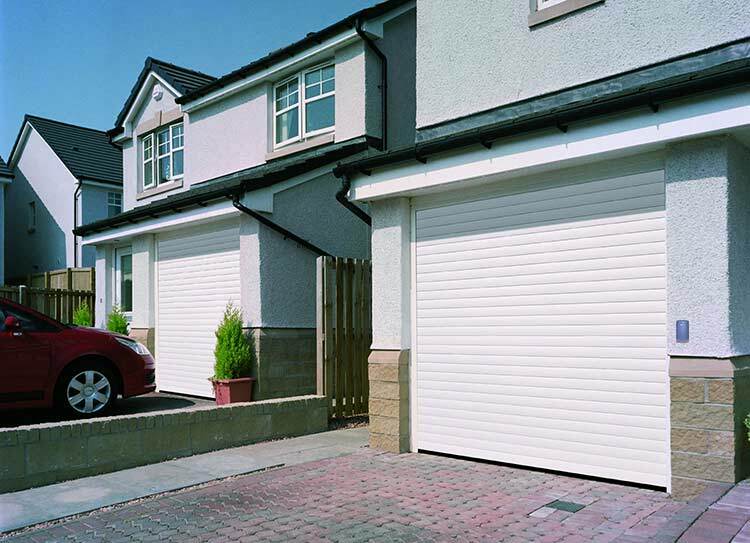 Providing a secure and reliable solution for your garage, Bon Accord’s range of up and over doors are available with either canopy or retractable mechanisms. 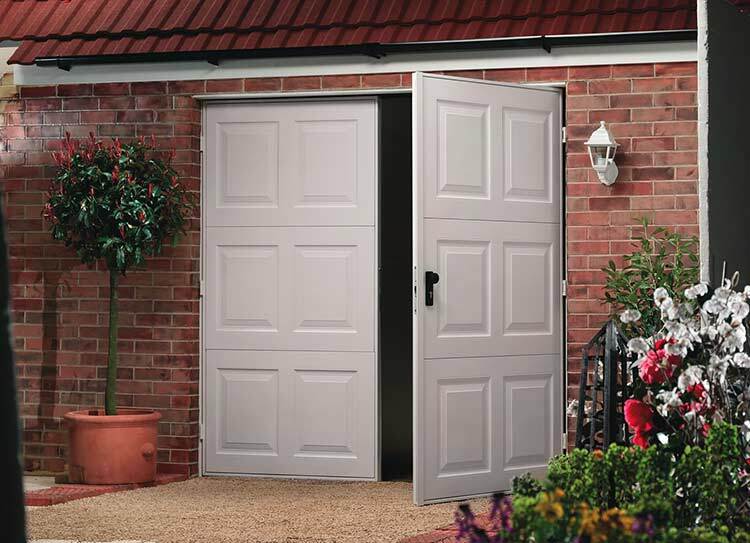 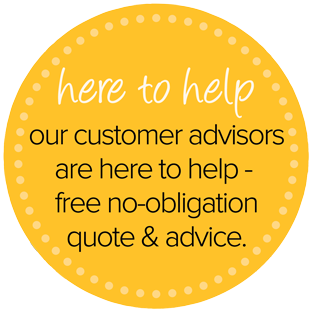 Steel, GRP, PVC or Timber options available. 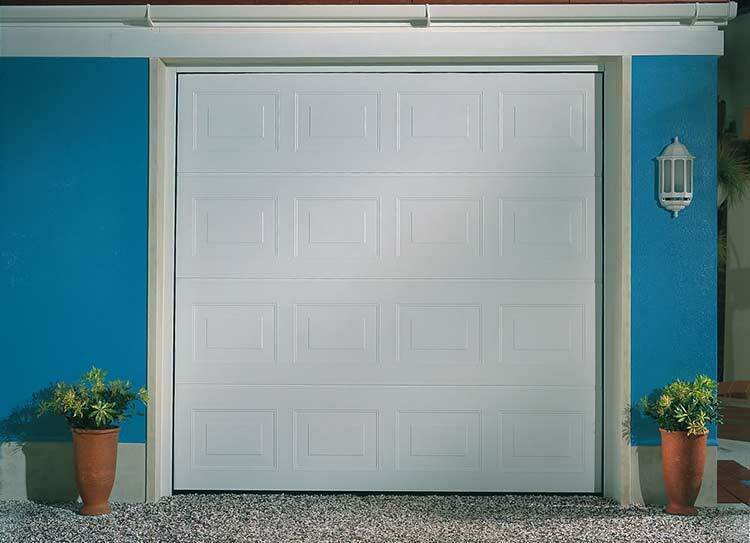 Range of optional automatic operators and accessories. 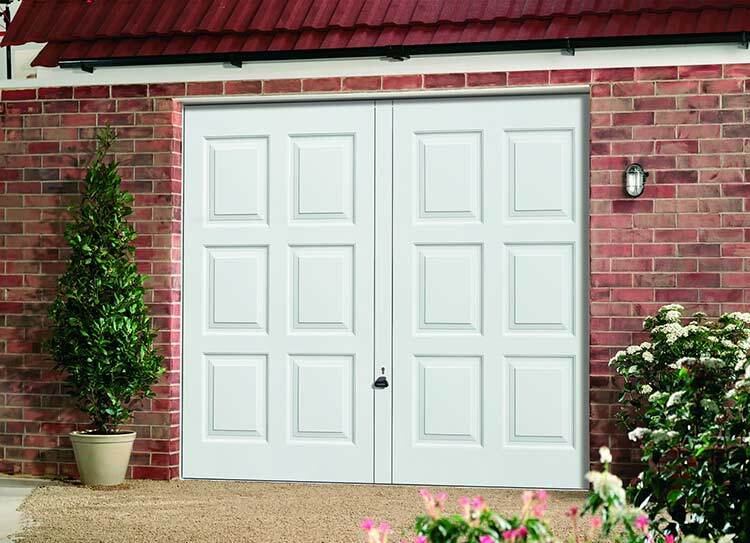 Steel or timber side door to match many of our Up & Over door designs also available. 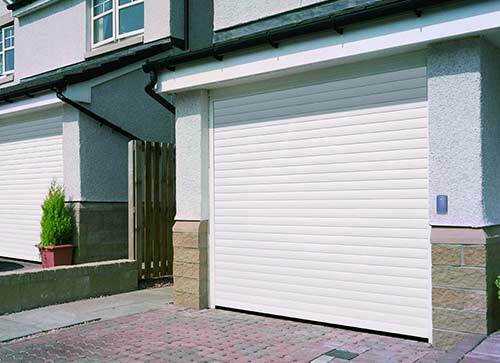 Side hinged garage doors open out providing clear and unrestricted space within the garage where full width access is not required. 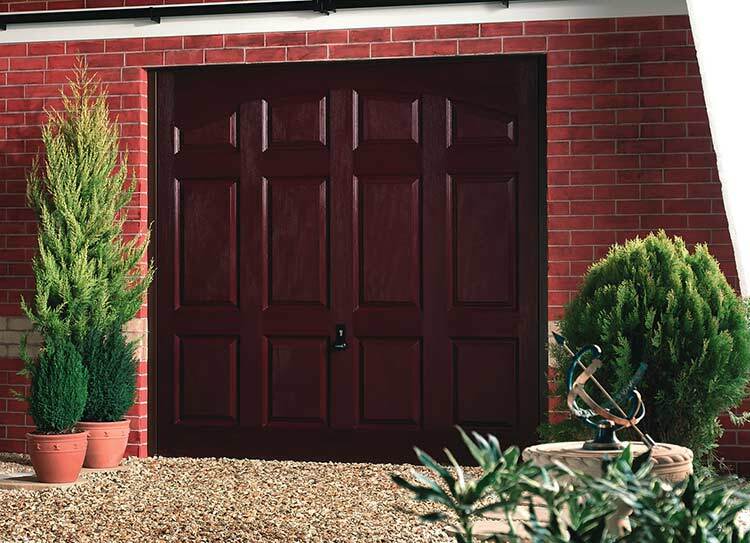 Range of steel and timber styles and finishes. 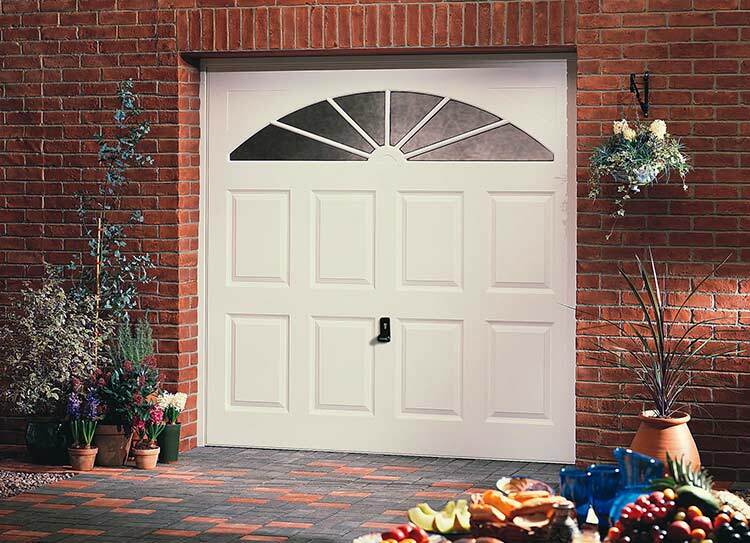 Available as 1/3-2/3 configuration on selected door designs. 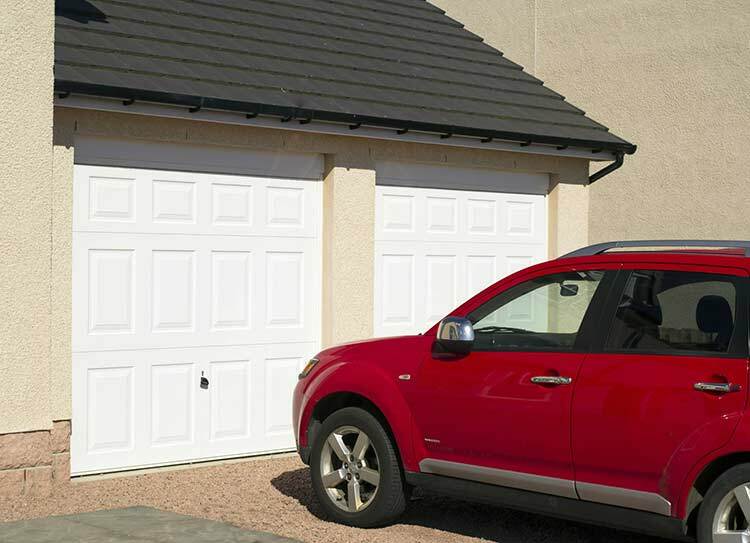 Sectional doors offer exceptionally smooth operation, maximise the drive-through width of a garage opening and give greater headroom clearance for 4x4s and MPVs. 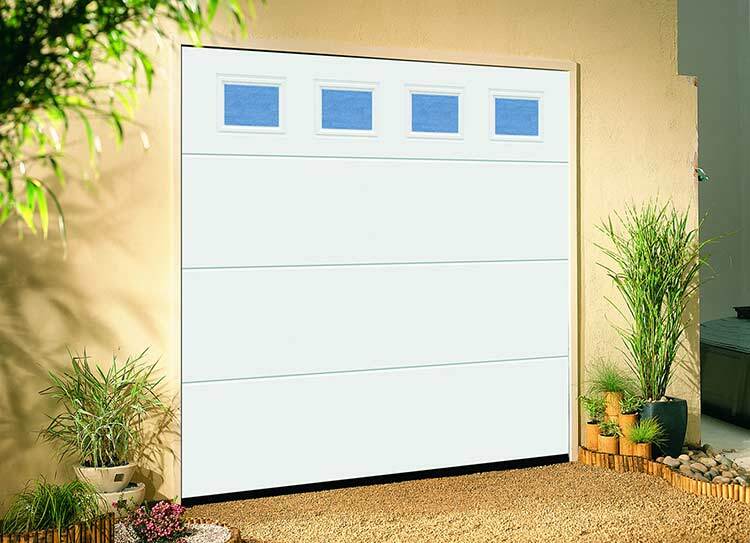 Lift vertically then roll into a box at the head of the garage door opening so the ceiling space is retained. 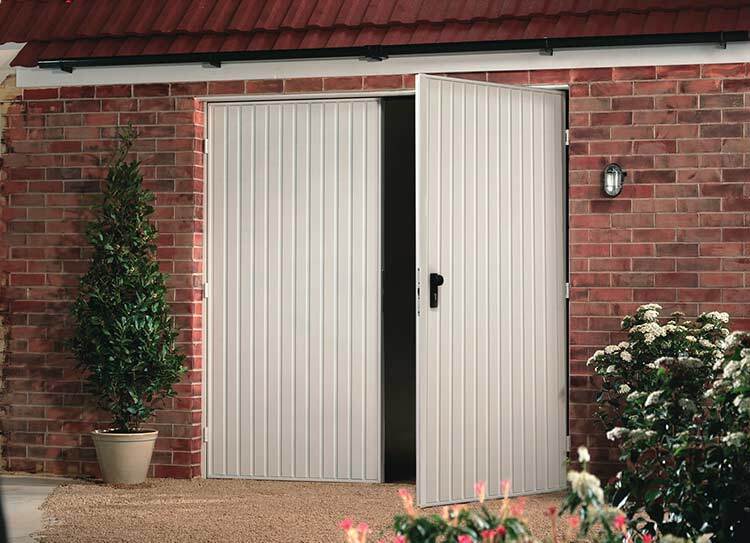 Made from aluminium insulated lathes and available in a choice of colours and timber-effect finishes. 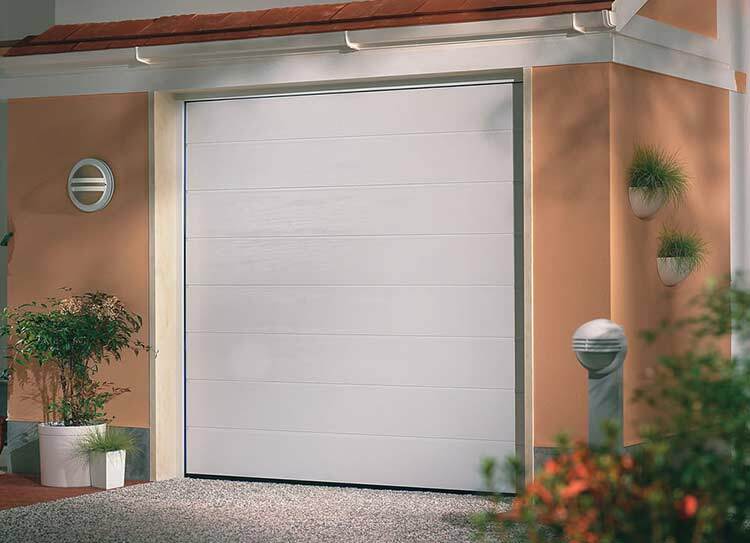 Our roller garage doors combine space saving design with the convenience of an electrically operated automatic door. 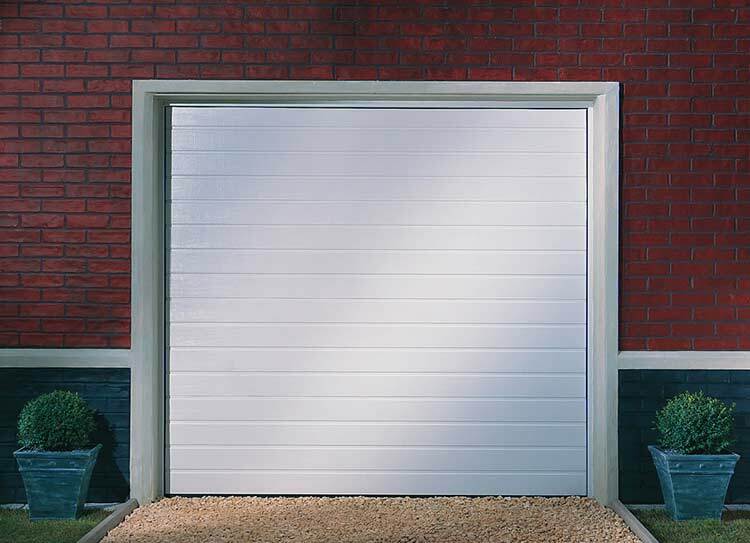 Bon Accord Glass can offer a range of electric door operators to complement your garage door and provide additional safety, security and convenience. 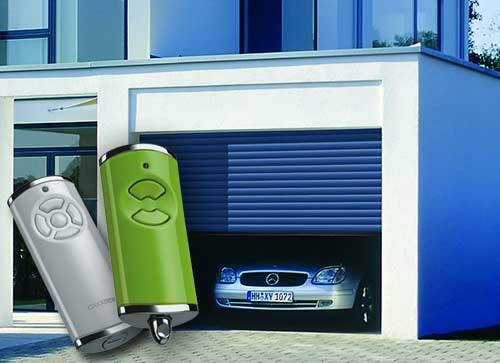 And our choice of operator accessories including hand transmitters, key rings plus fixed point accessories including wall consoles, push buttons and key switches allows for extra ease of use.